I was with my best friends Edsel and Elgie. 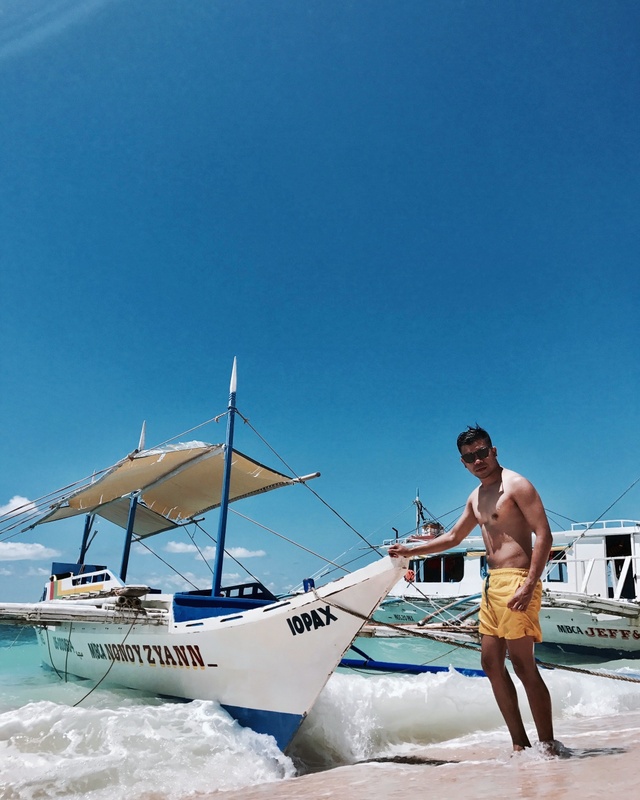 They have been to Boracay more than twice already. I was the virgin in the island. Hahaha Kidding aside, these two made my trip to Boracay memorable. We did not do any water activity at all. 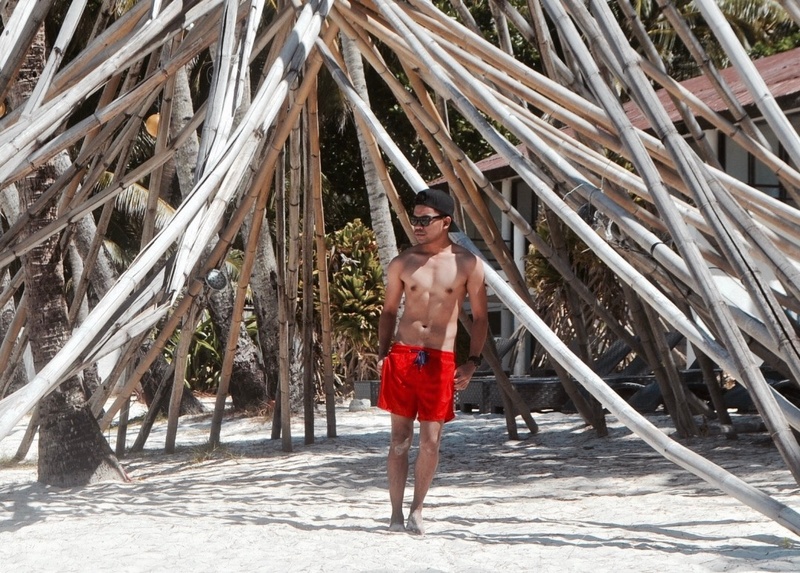 We were just there to enjoy the clear blue waters and the powdery white sand of the island. And the sunset? It was divine. So when they told me we were coming back this year, I said count me IN. 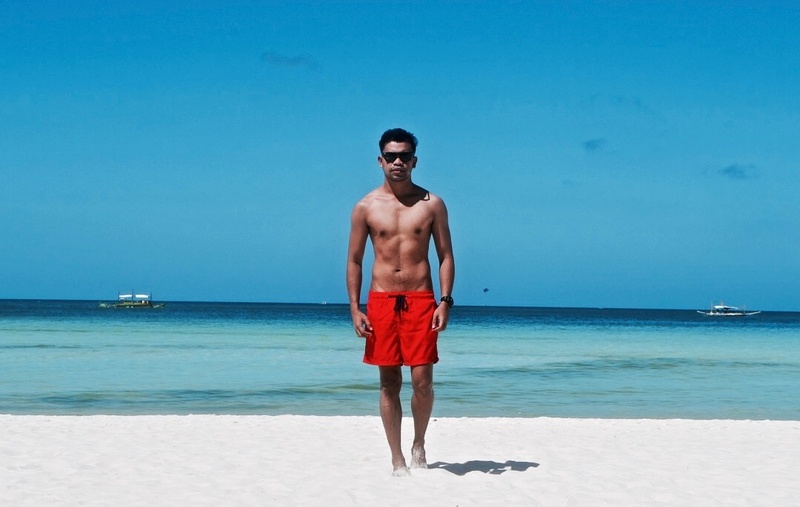 So anyway, it was my mission to find the perfect Instagram spot in Boracay. And here are just five of my favorite spots for your growing Instagram following. 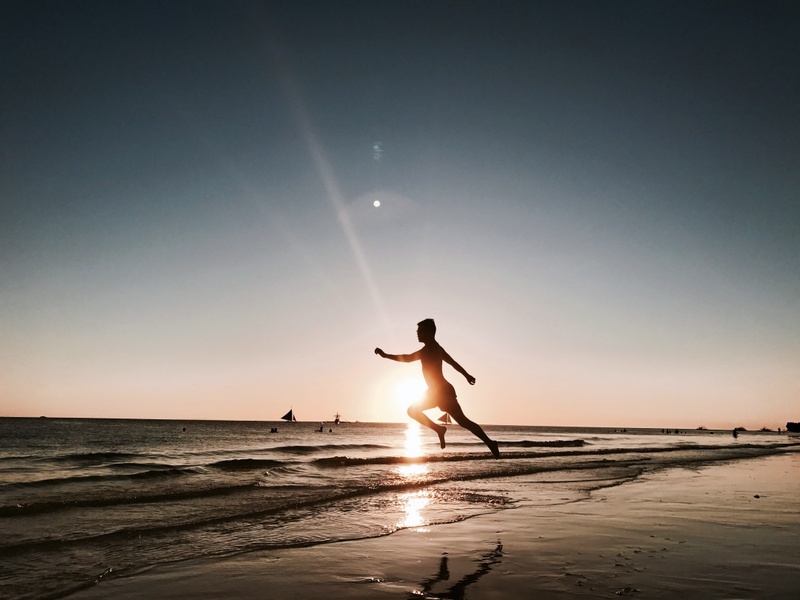 For an Instagram addict, it is easier to look for that perfect composition, but for beginners, we might need a little practice and an eye for spotting that Instagram worthy moment. I intended to use my phone for these shots since we don't carry a camera all the time. My friends and I stayed in a hostel. Well there are a lot of fancy accommodations in the island, but since we were on a budget, staying in a hostel was the way to go. To our surprise, the place did not disappoint. my favorite spot was the stairs going to our room. I immediately asked Edsel to take a picture of me. This was the closest to Santorini, Greece I could get. Hahaha There is always that perfect spot where you are staying - whether it be a luxury hotel or a hostel. You just have to be creative. 4. High Wall Carved Art before McDonald's in Station 2. If you are on a budget, eating at McDonald's may be one of your options. But mind you, the prices are P20.00 higher than the usual rates in the city. Good thing it's near this Instagram worthy wall. 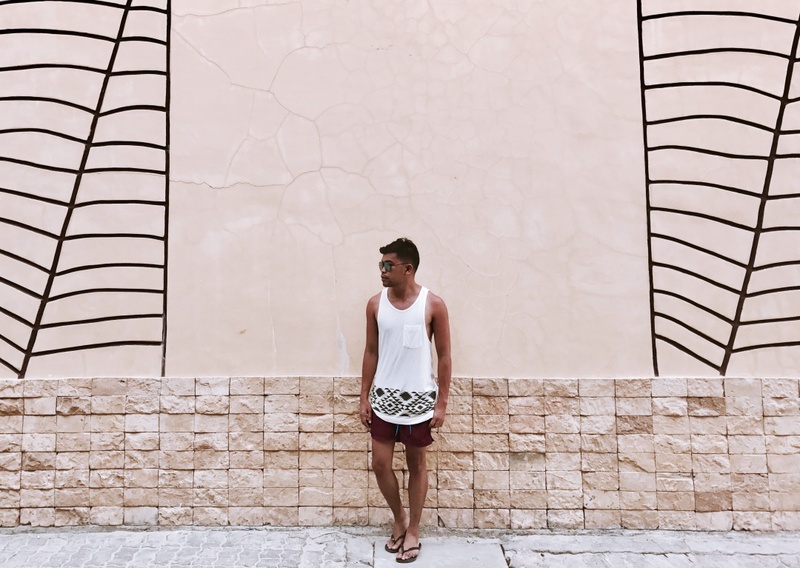 We all know that a high wall is perfect for an Instagram moment. 3. Bamboo Poles by the Beach along Station 1. These short bamboo poles are perfect. 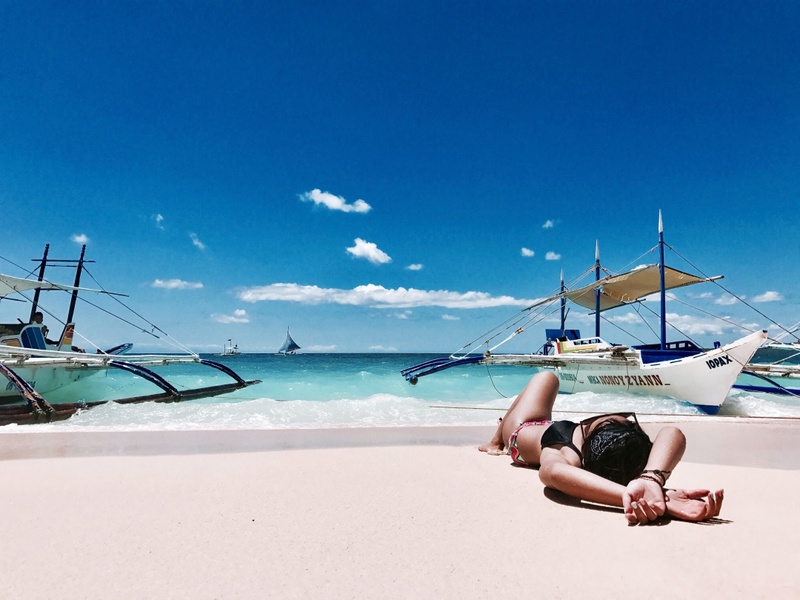 I think everybody knows this spot in Boracay. Bamboo Art Installation along Station 1. This spot is perfect when you are also looking for a shade. I thought this might be gone when I went back. But fortunately, this installation was still standing strong and still looking magnificent. I have always been fascinated with bamboos. Just like us, they might bend at times, but they will never break. Follow Sarah on Instagram @sarahhh0026. 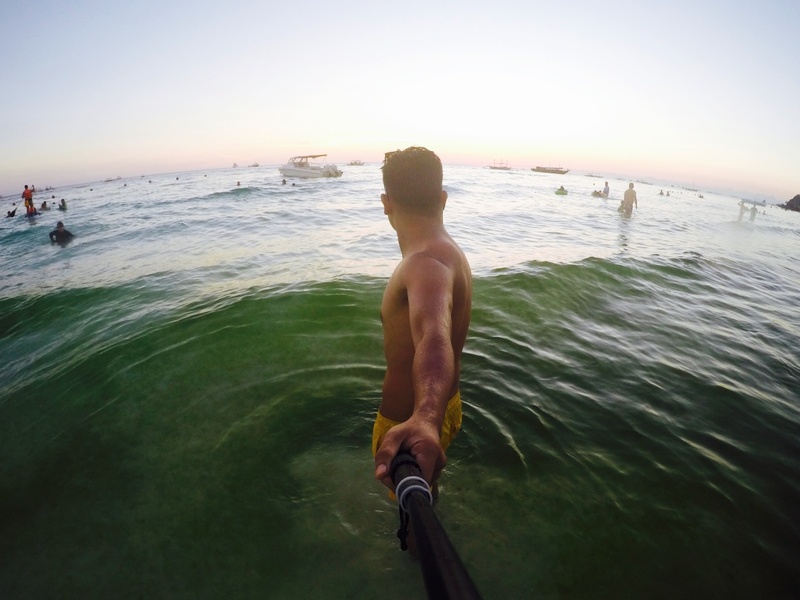 Undeniably the perfect Instagram moment in Boracay is her beautiful world-famous sunset. 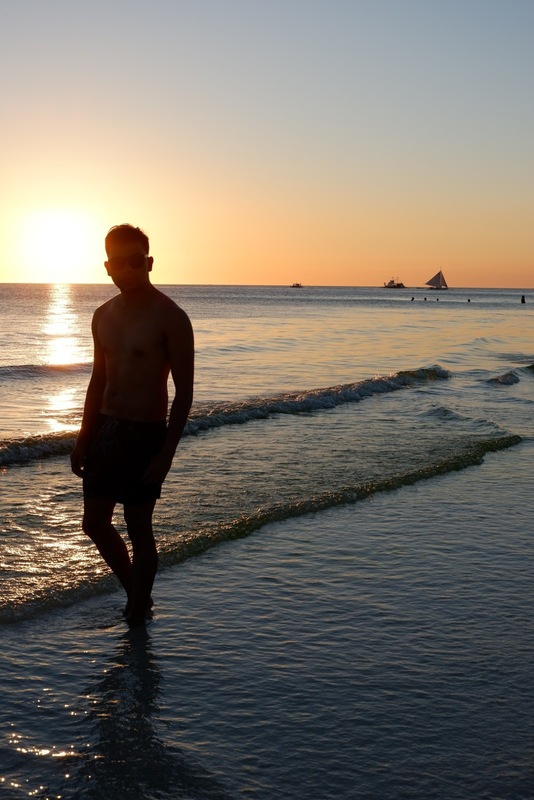 The saying "there is no sunset you won't like", definitely holds true to Boracay's best. I think I had over a hundred photos with this sunset. Hahaha Station 1 boasts to be the perfect spot to witness God's way of saying, "no matter how hard your day has been, every day still ends with a beautiful sunset." 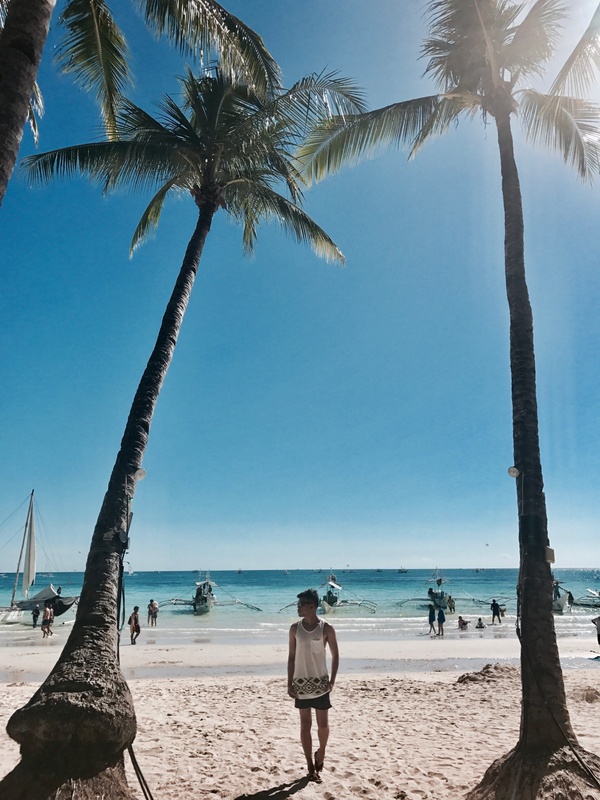 Of course, much of the island of Boracay is Instagram worthy. 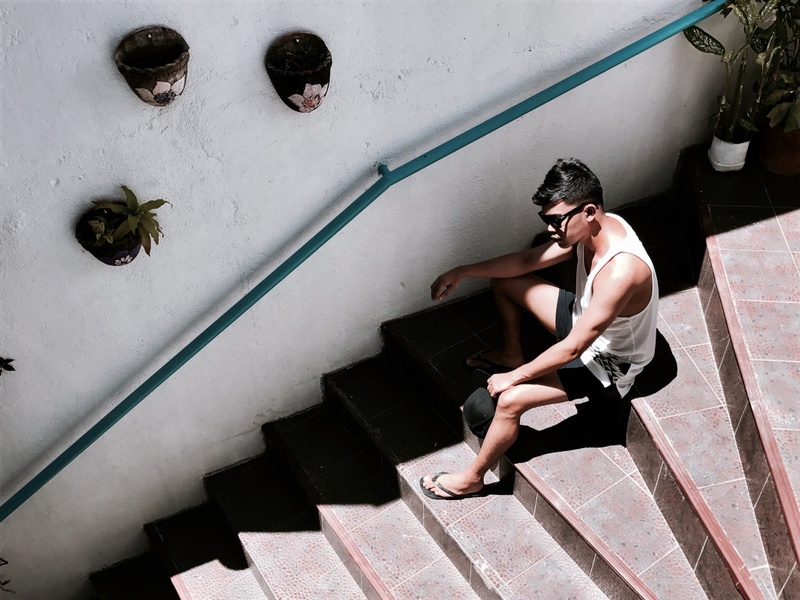 The entire beach line could be an Instagram moment such as these featured photos. Follow me on Instagram @almostablogger for more of my adventures and style inspirations.